There is not single person coming from the post Soviet Union countries who has never heard the name of this man. Vladimir Iliich Lenin was the founder, the leader, the architet of the Soviet Union and Bolshevik Revolution. The significance of this great leader can never be overestimated. The power, the fire of this one man led the Imperial and rotting country to a new level resulting in becoming of the USSR one of the most powerful countries in the world. 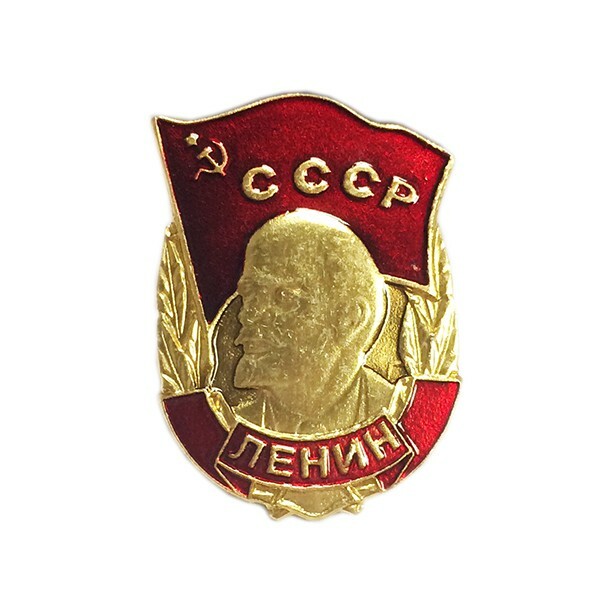 Soviet Badge "Order of the Red Star. Proletarians of All Countries Unite!" Greeting card "With 50 Anniversary"